There’s nothing like a slow and wilful internet connection to test to the limits a blogger’s resolution to connect with her inner Buddhist. At the moment, the laptop is still intact and has yet to be flung to the floor or, potentially more satisfying, hurled from a first-floor window but it’s been a damned close-run thing. With a bit of luck, we’ll plough on through the technical hitches and one of the good things is that regular readers realise that, more often than not, our photos – well, okay, let’s be honest, my photos – smack of desperation. Look on my works ye mighty and despair….. Heaven help me, I’m surrounded by gym rats at the moment, so we’ve all signed up to the wee gym round the corner – well, off peak came to less than 30 quid each -and traipsed off on Wednesday for our first session. Guess who was home first? In my defence, we’re playing golf at Erinvale tomorrow (Thursday, so that’ll be yesterday for most of you) and I didn’t want to overdo things. Not that any of my muscles are finely honed – or even recognisable as muscles – but playing with three professionals is a bit daunting and I’m hoping not to be plagued with anxiety dreams tonight (Wed). 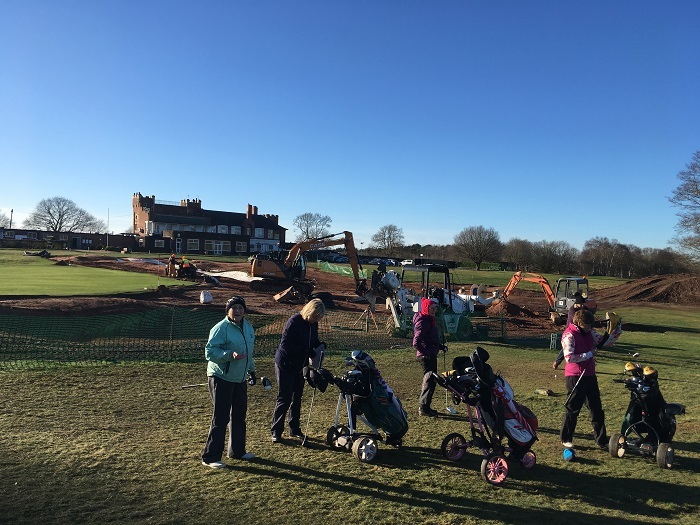 You know the sort of thing: can’t find the course; can’t find your shoes; can’t find your clubs; take the wrong way to the 1st tee; can’t get the club back; that sort of thing. Sounds very like real life to me. One of the professionals, ever confident, in training for the big day. I’ve never been to South Africa before, which, given the amount of golf played here over the years and the fabulous courses that have bred some of the world’s best players, is a bit of a gap. We’ve unpacked the clubs but that’s about it so far because this is not a golfing trip per se. 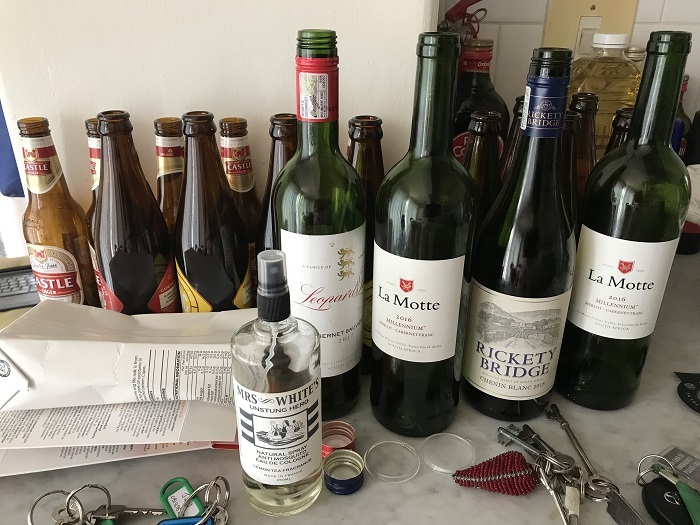 We’re fitting in a few rounds between vineyards, Garden Route, safari, lounging by the pool, trekking up Table Mountain, reading, eating, drinking and, I suppose, going to the gym. There’ll also be shopping of course but my co-blogger labours under the delusion that there’s a clue in the name and that we should concentrate on the golf. Not for the first time, I disagree, especially when we haven’t even seen a golf course yet and the television connection has a mind of its own. Must get it sorted for the Six Nations – or, more likely, find a bar that’ll be showing the rugby. Shouldn’t be too hard in this neck of the woods. Come on Ireland. Shoulder to shoulder. Fingers crossed. Oh, and Happy Birthday today (Fri) Mo. Slainte. Spot the teetotaller. Testing out the local produce. As regular readers know (it’s lovely to realise that there’s more than one, thank youse) life is difficult for this particular organisationally impaired person and this has been a particularly tricky week. I’d show you a photo of my desk, littered with notes and lists, some in jotters, some on scraps of paper or the back of envelopes as I attempt to cope with a tsunami of admin but Mo’s photo shop is now closed for business, my computer’s photographic memory is full and plans B-Z have stalled. Lucky youse. I’m off on a big trip and I haven’t been on a big trip like this for years. During a mammoth session of rooting and sorting I discovered a passport from 20 years ago and even I didn’t recognise the woman in the picture. In her place now is someone unrecognisable as the same person, grim, gaunt, grey. Part of that is the fault of the passport people because they want to drain all the life and colour out of their subjects: “neutral expression….mouth closed no smiling, frowning or raised eyebrows…no hair across the eyes……” and so on and on. Looking at my latest effort I’m not sure I’d let me in anywhere…..Fingers crossed. This is a particularly fraught time of year for us last-minute merchants in that we absolutely have to sort out our taxes, there’ll be no mercy if we miss the deadline of the 31st. That’s entailed a couple of trips to the accountant, some money to be paid to the taxman, sorry, the revered HMRC and fingers crossed they agree with everything, including the fact that they were paid electronically this very Thursday evening. I hear that some people – who paid online in plenty of time and received confirmation from HMRC – have been fined £100 for missing the deadline! Yes, that deadline; the one at the end of this month, the one that is still a week away. Ah, Her Majesty’s Revenue inspiring Confidence…. There’s been no golf for me this week, in deference to list after list: car insurance, house insurance, travel insurance, travel card pin – wrong? Yet another phone call, more memorable words to recall, another password long forgotten, mother’s maiden name, limit on credit card; suspend gym membership; clean the loos; change the sheets; empty the fridge; play Balderdash; ditch bridge (damn, but something has to give); collect walking shoes (if they’ve arrived); pick up new specs. Eat; fill the dishwasher; empty the dishwasher; coffee with the next door neighbour; sort the misbehaving boiler, change the thermostat setting – oops low battery, change the battery, double oops HOW?!!! Relax, breathe, remember that commitment to Zen (radio programme, half heard, wholly misunderstood)! Thank God that you’re not Theresa May. Did you really once think that you’d quite like to be prime minister or foreign secretary one day……Lucky youse, it never happened. 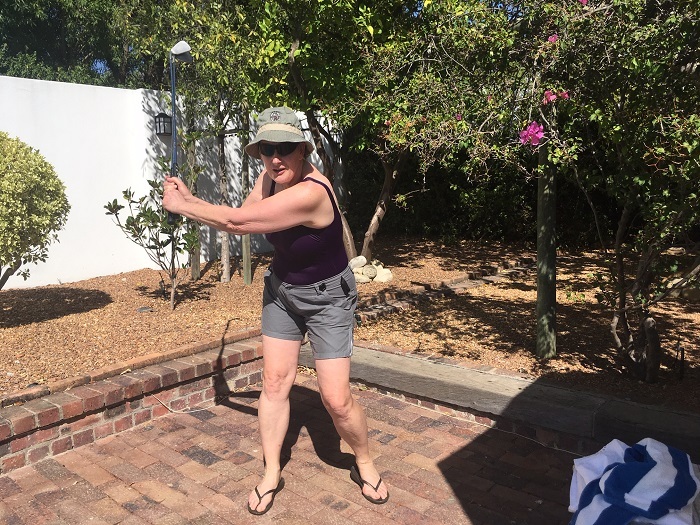 I’m hoping to come back wiser (well, travel is meant to broaden the mind and my brain cell is willing to expand), fitter (serious exercise addicts in the party) and a much better golfer. It’s not a golfing holiday per se but there’ll be some golf and I’m hopelessly overmatched, so here’s hoping to pick up some good tips. Also, I’ve never been to this place before, so I’m starting to get really excited about what’s in store. The accountant grew up there and, bless him, brought in some pics to get me in the mood. He’s nearly as excited as I am…. A friend took me out to dinner last night and it was a lovely, relaxing, no-fretting zone. Thank you. 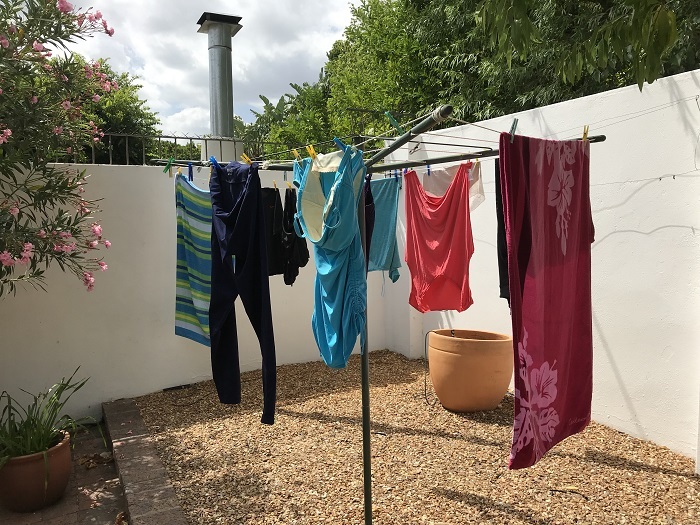 It was particularly easy to keep my tower of tasks in perspective this week for a variety of reasons, not the least of which was the news that Debbie Dowling, a friend from years ago, had died suddenly and unexpectedly. Mo and I are still in shock, so our hearts can only go out to her family and close friends. Bon courage. 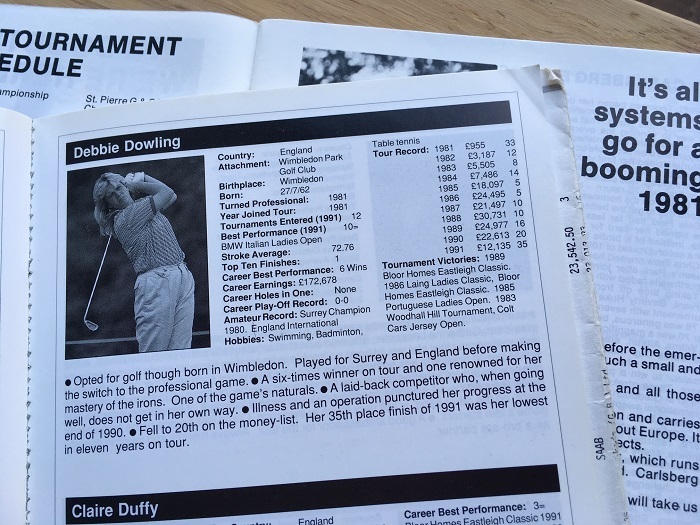 Debbie, a bouncy blonde (or possibly a brunette) from Wimbledon, played for Surrey and England as an amateur, then turned professional in 1981 and joined the fledgling women’s European Tour (known as the WPGA then). She was quite a player and won her fair share of tournaments as a professional: the Bloor Homes Eastleigh Classic (twice), the Laing Ladies Classic, the Portuguese Ladies Open, the Woodhall Hill Tournament, the Colt Cars Jersey Open. All our yesterdays. Bear in mind that in those days everyone played in everything, so 99 per cent of the time the best players were there; there were no weak fields except in so far as it was a new venture on this side of the Atlantic and all the players were learning their trade. Thanks for the happy memories and the laughter all of youse. Lucky us. It’s a bit of a miracle that the Royal West Norfolk golf course at Brancaster is still in existence. 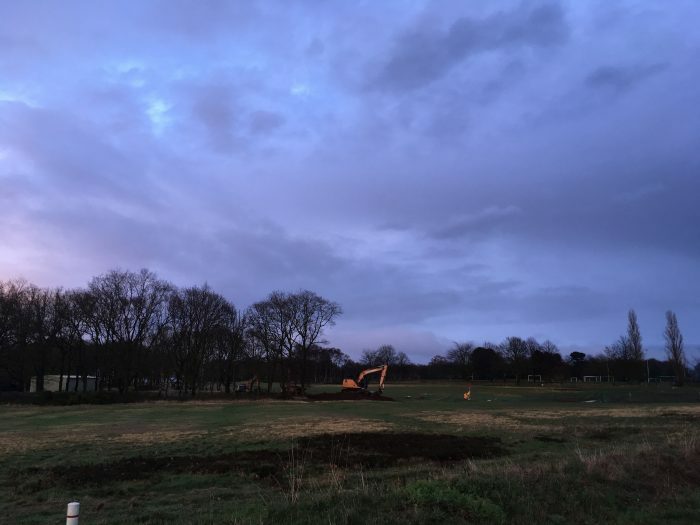 It’s squeezed onto a narrow stretch of land between the North Sea and marsh land that is a paradise for birds and boats and has been battered from both sides since the golf club was founded in 1891. There’s no doubt that the founders would still feel at home because not all that much has changed all that much and the course is a wonderful throwback. 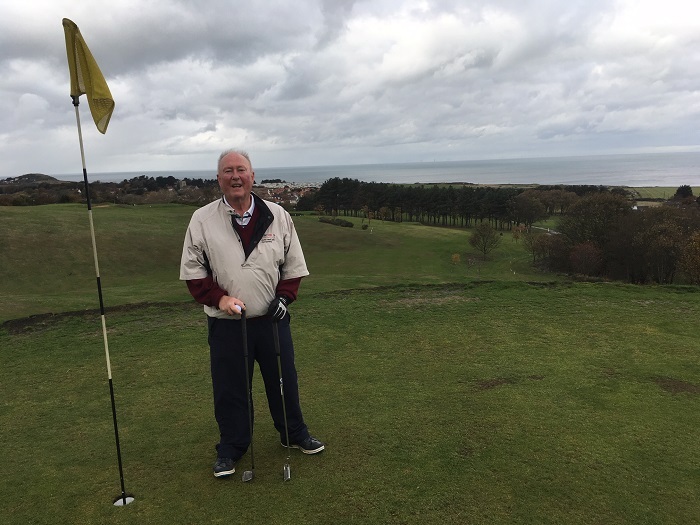 I’ve probably mentioned before that it was the course that Dai (my late husband, for new readers) chose every time anybody asked where he would play his last round of golf. And, by sheer chance, it was where he played his last round, not, sadly, a very distinguished round but he was used to that. 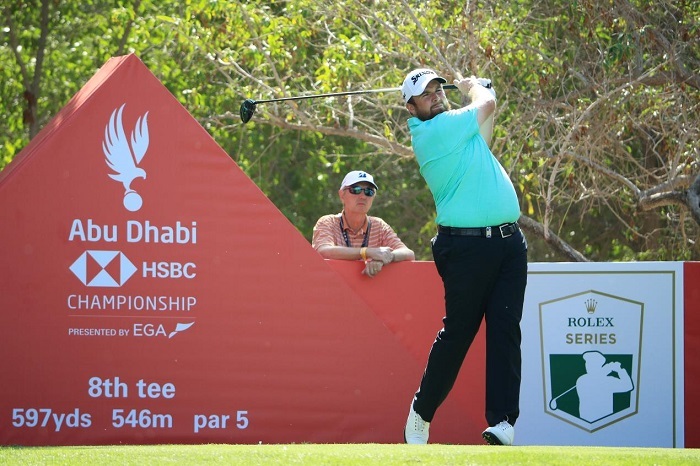 It was the disappointments and the determination to do better that kept him coming back – after retrieving the clubs from wherever they’d been hurled. 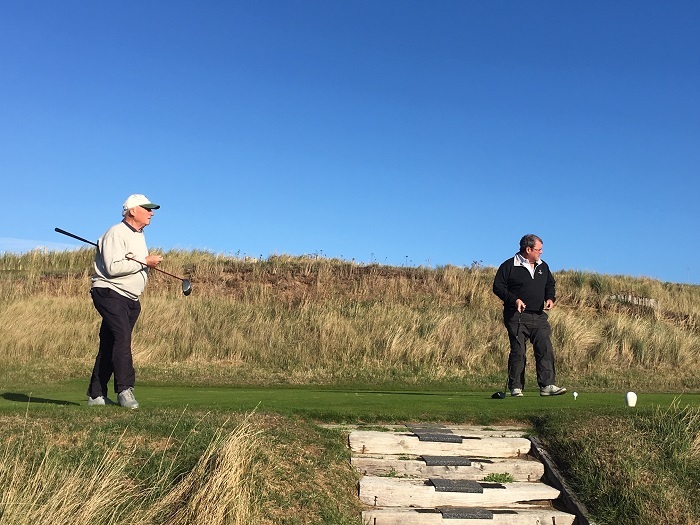 The golf writers are still making their annual pilgrimage to Brancaster every November, though we’re dwindling in numbers and could do with an injection of new blood. It’s a long way from most places but it’s more than worth the detour and the Pat Ward-Thomas trophy really has to be played there – you may remember that Pat, one of The Guardian’s corps of irascible golf correspondents, was captain and is on the board above the fireplace alongside a variety of dukes, air vice-marshals and HRHs. 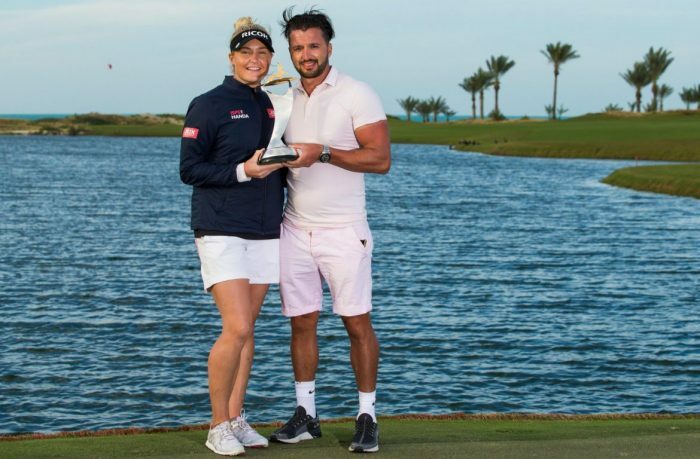 If only the scoring had matched the brilliance of the sky – though Colin Callander, the man on the right, played something recognisable as golf. Last Saturday, we had a glorious, shirt-sleeve sort of a day, with a bright blue sky and a bit of a breeze – not too brisk – and my partner and I (it was foursomes, a format that can strain many a friendship and many a short fuse) started blob, blob, blob, blob…….His short fuse had been lit as early as his first shot but we settled down to play semi-respectably and even had an unlikely par 4 at Brancaster’s fearsome 9th, where the green is guarded by the marsh and a frightening array of vertical sleepers. It was too long for us to reach in two – unlike our singleton playing partner who ended in the marsh only because he pushed his second shot slightly – but by some sort of miracle (a mishit rescue club hit high off the toe and also sort of semi-duffed) our third shot landed on the green and stayed there and my partner holed from about 30 feet. One of those par things. Easy. High fives all round. Dai, who was scattered there ten years ago (well, the bit of him that is not on Bryher or in the hollow to the left of the 5th at Whittington Heath or in the kitchen cupboard), would have appreciated our delight, despite the dodgy nature of the execution. Over the years, every now and again, I’ve played half decently at Brancaster, so I’m no longer too upset when it exposes my lack of golfing skills. It’s just a joy to play, even given the difficulties of the 8th and 9th and the challenge of clearing the cavernous chasm that is the monstrous bunker at the 15th, a formidable par 3. Now that’s what you call a bunker. 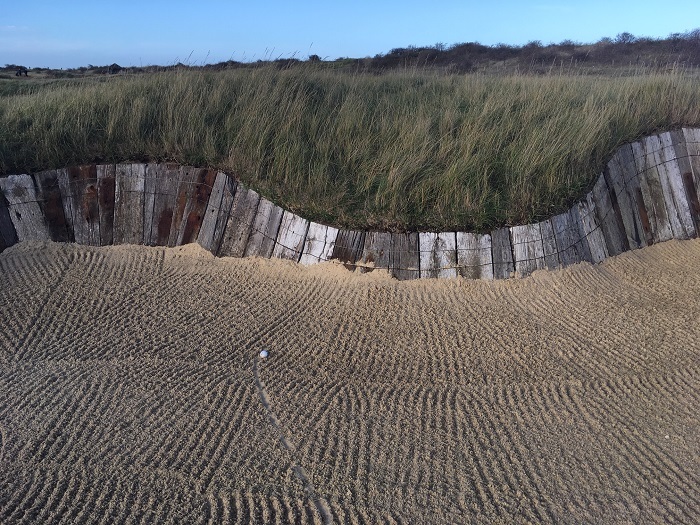 One of the many tests a golfer faces at Royal West Norfolk. 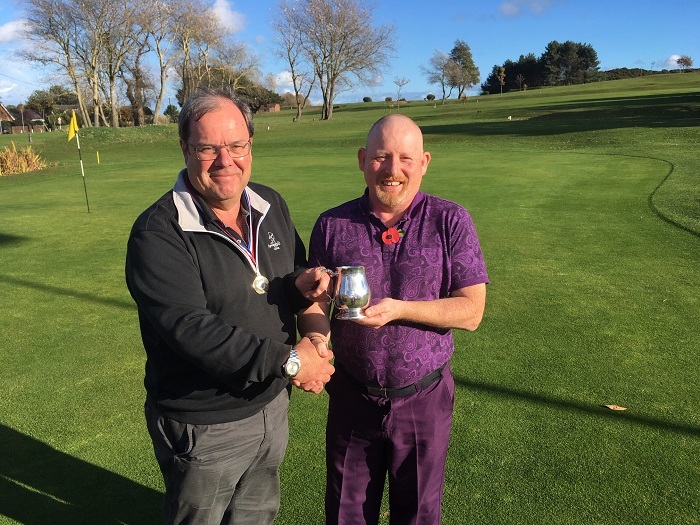 Resplendent in purple, Gareth Hall, captain of West Runton, accepts the trophy from the AGW’s Colin Callander performing a well-practised handover with a resigned sort of look…..
You’ve guessed it, we lost again but all the matches were close enough and, all being well, we’ll live to fight another year. My partner and I (greensomes this time, different partner) even won the dreaded 6th, which is nearly at the top of Beacon Hill, at 103 metres the highest point in Norfolk apparently. The views are spectacular and well worth the climb. I’ll decline to say more….. This is not the place to regale you with tales of the Staffordshire Union Of Golf Clubs’ annual county golf dinner – which, to the amusement (or horror) of many, was held in Warwickshire and included women for the first time. It finished late last night, even by this blog’s standards and I’ll try and do it justice at a later date. The guest entertainer, who entered the fray late, after the guest speaker who was conscious that he himself was starting late, did a brilliant job and had an excellent gag about Tiger Woods, which I’ll try and remember on request. To finish on yet another losing note, my partner and I are already out of the (ladies’/women’s) winter foursomes at WHGC. 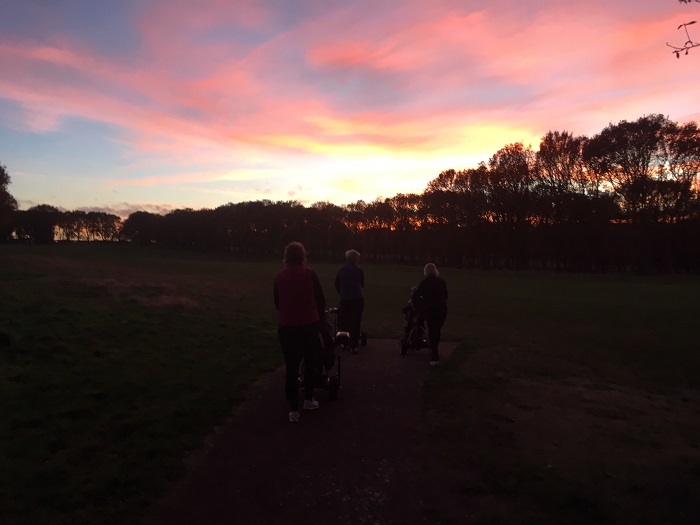 We were beaten, in near darkness, at the third extra hole. It was so much fun but that’s us done. Round robin anyone? Heading home after a great tussle ended at the third extra hole.